Success for ‘Luton Futures’ at Bedfordshire’s Young Enterprise Semi-finals. Last week, All Saints Academy in Dunstable hosted the semi-finals of the Young Enterprise Company of the Year Awards. 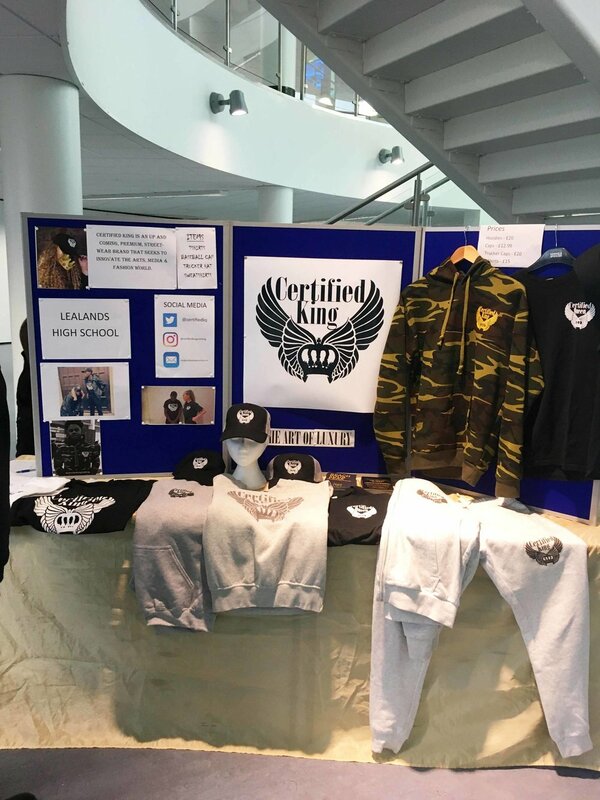 ‘Certified King’, a team consisting of Lealands Year 11 students, is described as a brand that seeks to innovate the arts, media and fashion world. They aim to set up events for young people in the hidden creative economy to give them the opportunity to showcase their talent to the public. They have also designed and manufactured hats and t-shirts and are continually expanding their range of clothing which they are busy promoting via a local radio station and on numerous online platforms. 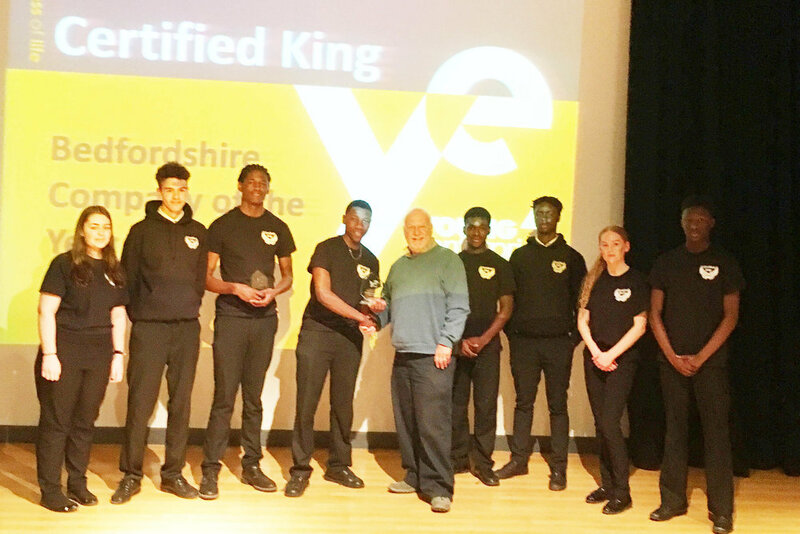 This was the first time The Avenue Centre for Education in Luton has become involved with the nationally recognised Young Enterprise scheme. It has become part of their efforts to enhance further the Work Related Learning elements of the curriculum as they seek to prepare students for plausible routes into adulthood. Young Enterprise has been an instant hit with the students and has seen Team Impact, consisting of 7 Directors from Years 10 and 11 come together for weekly business meetings to plan, develop, prepare and sale their initiative to encourage young children to drink more water as part of a healthy living and well-being message. From fundraising with Car washes and bake sales, through to weekend sales events in Milton Keynes where they sold over 50 product packs in a single day, Team Impact have worked hard to live up to their name. Certified King, from Lealands, wowed the judges with an outstanding concept and presentation and won the semi-final competition as best company, they also collected two further awards for Best Presentation and Best Marketing. A special thanks must be given to Directional and Keepmoat for their business support and advice. Also Kimberley Lamb who introduced ACE to Young Enterprise and continues to give their students the belief and opportunities to succeed. Congratulations to both Lealands’ and ACE’s students on their achievements so far. Both companies will go forward to the Bedfordshire final next term. It is great to see the young people of Luton excel in a very tough and competitive process. Good luck to all students in the county finals.